Pelham Goddard at right with some Roots members. Roots Fever, the event to usher in the Normandie’s 2018 Under The Trees Carnival programme on January 13, will celebrate the music and the man Pelham Goddard (PG). Celebrating with Pelham and his band Roots will be David Rudder, Moricia Cagan, Nigel O’Connor, 3canal, Anslem Douglas, and Brimblers Steel Orchestra. PG, as he is fondly called, may be remembered as musical director/arranger of the phenomenal soca band Charlie’s Roots, which in its time produced some fine musicians in the genre, and introduced the voices of Christopher “Tambu” Herbert and Rudder. PG launched his professional career in 1967, as organist for the Peter De Vlugt (Dutchy Brothers) Orchestra and branched out into pan the following year, joining Starlight Steel Orchestra. In 1972, he edged nearer to the limelight, playing with the legendary Esquires Combo. Four years later, PG formed Charlie’s Roots, initially as an in-house band for K Studios. In addition to recording numerous radio and television jingles, the group provided musical accompaniment to many of the Caribbean’s leading performing artistes, including BlueBoy (now SuperBlue), David Rudder, Sugar Aloes, Calypso Rose and Singing Francine. In his youth PG was a regular tassa drummer with the Balma (Emamali) Hosay group in St James. He also made his mark in the steelband world long before recent successes with the Sagicor (now Republic Bank) Exodus Steel Orchestra, having led the Third World Steelband to public adulation during the 1970s. He started playing the piano when he was nine, and apart from a Berklee course and a short period of apprenticeship with Clive Bradley in 1972, PG has largely taught himself the various arts and aspects of the music industry that today manifest as a one-stop shop at his recording studio, Agra 9 in St James. In addition to his widely celebrated talents as arranger and producer, he has positively affected the soca scene as a songwriter, writing a catalogue of hits, including The Hammer, Dedication, Dus in Dey Face, Savannah Party, Jungle Fever, Callaloo and Calabash, all of which were sung by Rudder. 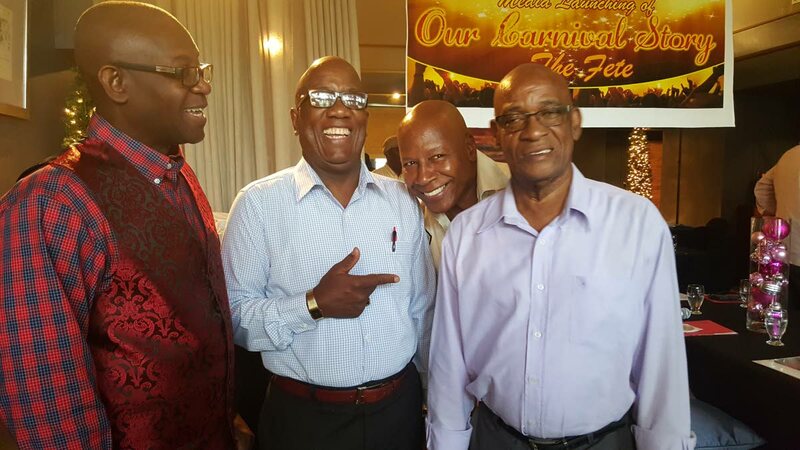 PG has enjoyed the singular success of having arranged music for 13 calypsoes that won the Road March title, even as he arranged music for steelbands during Carnival and played a packed diary of seasonal fetes. His arrangement of Gold and American Patrol for Third World Steel Orchestra stayed on the charts for a full year. His success as arranger of the list of Road March calypsoes and for Exodus Steel Orchestra has ranked him as “Mr Calypso” in both arenas. Between 1992 and the present, PG’s association with Exodus has earned the band four national titles, in addition to an equal number of second and third places in the annual Panorama competition. In any 12-month period, he shuttles between recording his almost annual Christmas CDs, arranging and producing the music of various artistes for Carnival, and arranging for Exodus Steel Orchestra. At foreign festivals based on the Trini model he is equally busy, most notably working with Marsicans Steel Orchestra in Brooklyn, New York for that city’s Labour Day Carnival. PG was the recipient of a national award (Humming Bird Medal, Silver) in 1994 for his contribution to culture. Reply to "Roots Fever to launch Under the Trees next month"